The best towing systems comprise of many safety and mission critical components. Bartlett brings together a complete package with all types and brands of trailer coupling and accessories. 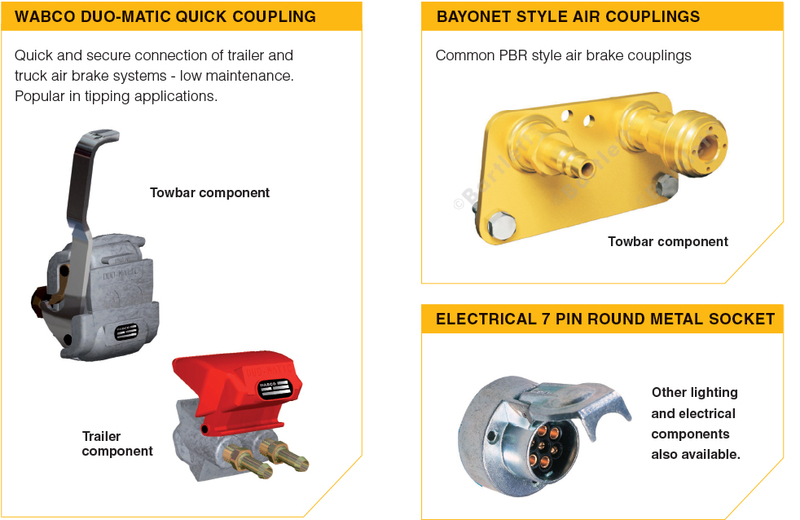 A complete range of air brake couplings, electrical service connectors and steel mounting plates for secure attachment to vehicles are also available. 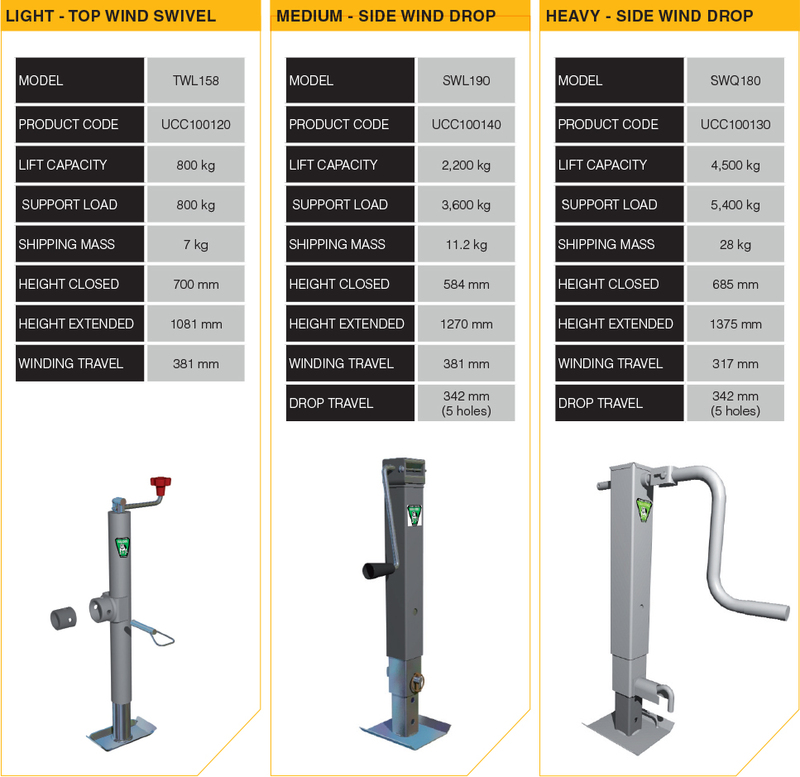 Bulldog parking leg jacks facilitate safe lifting of trailer drawbars and provide stable support for trailer parking.